In hydraulic and lubrication oil systems, friction, wear, leakage and excess temperatures can contribute to the operating fluid becoming contaminated, with solid particle contamination or water, for example. This contamination then goes on to cause errors in components and subsystems and ultimately in the system as a whole. Furthermore, the normal ageing process of the fluid causes performance losses that often result in system downtime. In order to prevent these time-consuming and costly consequences, monitoring the condition of the operating fluid is of major significance. The condition of the operating fluid is comparable to a “fingerprint” of the overall condition of the system. Implementing a predictive maintenance strategy allows the service life of all critical machine elements to be fully utilised, by detecting a variation from the fluid’s normal condition early on. This is the basis for a significant reduction in operating costs resulting from costly unplanned system downtime being eliminated or minimised. As soon as the beginnings of a variation are detected, the remaining service life of the corresponding parameter or component can be estimated and used for ongoing production in a controlled manner. Meanwhile, spare parts can be procured and maintenance with minimal costs can be scheduled. A predictive maintenance strategy thus allows available resources to be utilised optimally, reducing the total costs for the machinery throughout its service life (life cycle cost (LCC)). 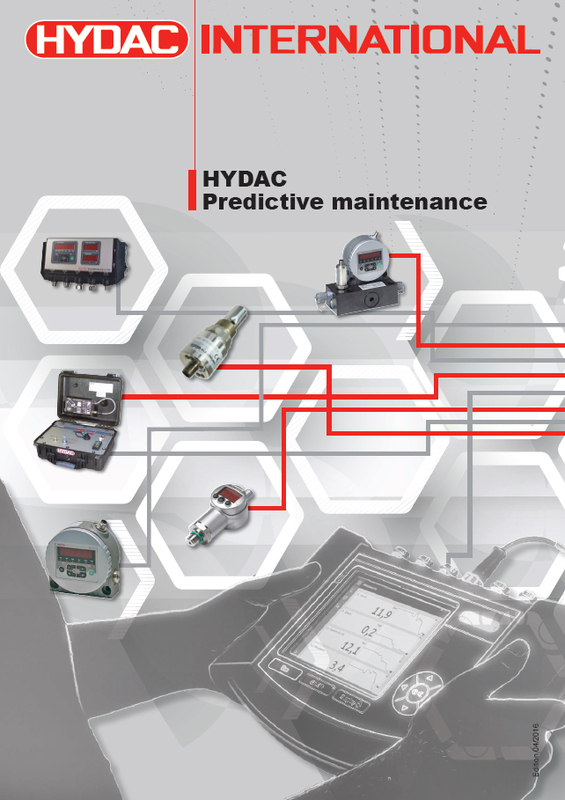 Click on the brochure below to learn more about predictive maintenance.